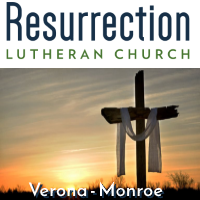 RLCNotes - Resurrection Lutheran Church Verona Wisconsin EASTER Services! Sign up sheets are up! Check them out to see what you might like bring; there are many possibilities to choose from. Be sure to invite a friend! Children ages 3-10 are invited for a Bible story, music, crafts, and an Easter egg hunt! Register online at rlcverona.org or call the number listed at each location.